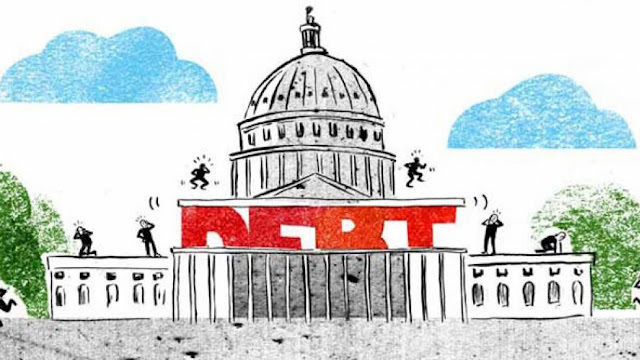 Once more the U.S. government is facing a “crisis” of hitting the Federal debt ceiling, beyond which the U.S. Treasury has no more in its bag of tricks to keep financing its deficit spending. Some are now calling for ditching a legislative debt ceiling to allow Uncle Sam to borrow anything he wants with no limit on his fiscal line-of-credit. This is a bad idea. First, the hysteria over a possible debt default on U.S. government interest payments is all bunk. Other government spending would merely have to be trimmed by less than 8 percent to assure the net interest payments coming due for the current fiscal year could be all covered. The “horror” is really about the fact that if the debt ceiling is not lifted, the Federal government would have to only spend what it takes in in taxes – that is, a balanced budget – and that would require politicians in both parties to tell their respective voter constituent coalitions what government really costs to cover all that is promised as payment for their support on election day. Eliminating the debt-ceiling requirement would only enable those politicians to better hide this reality of the actual fiscal burden of the interventionist-welfare state, and to sweep under the political rug the danger of an ever-growing national debt that has now reached, in fact, over $20.6 trillion.